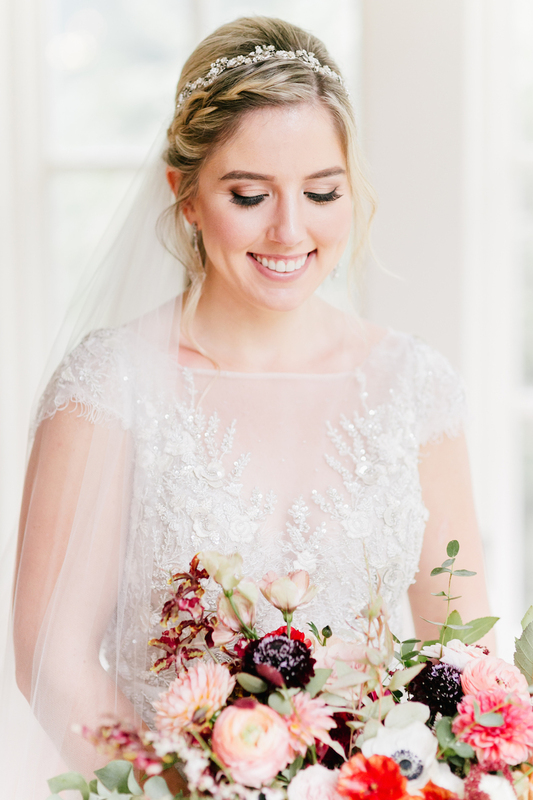 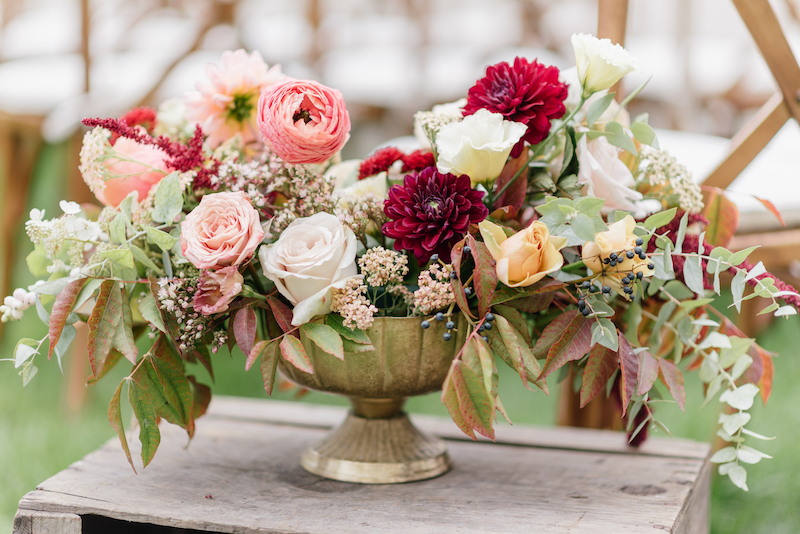 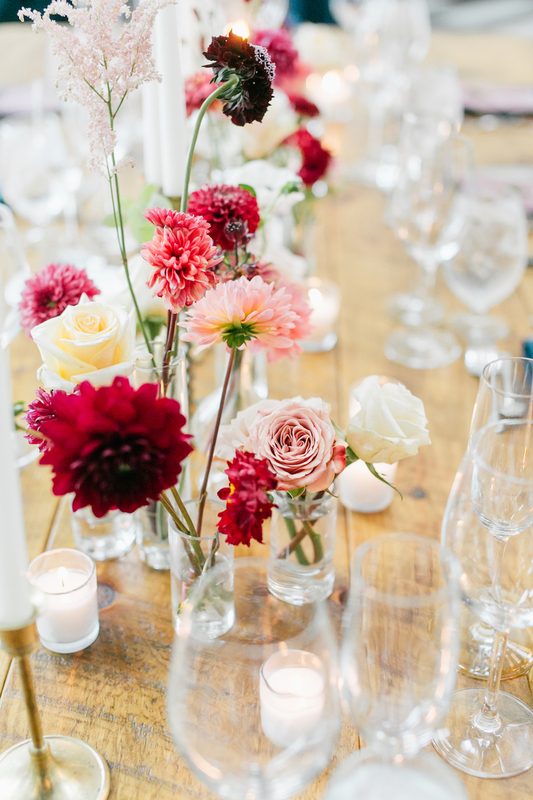 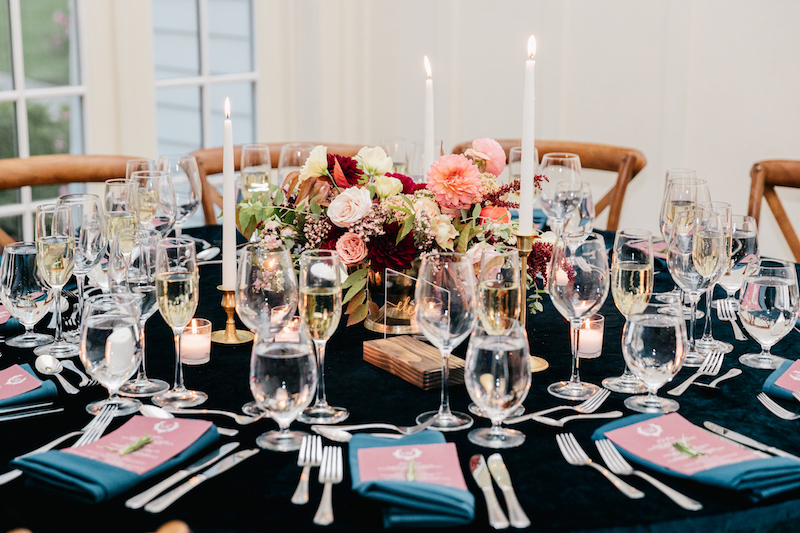 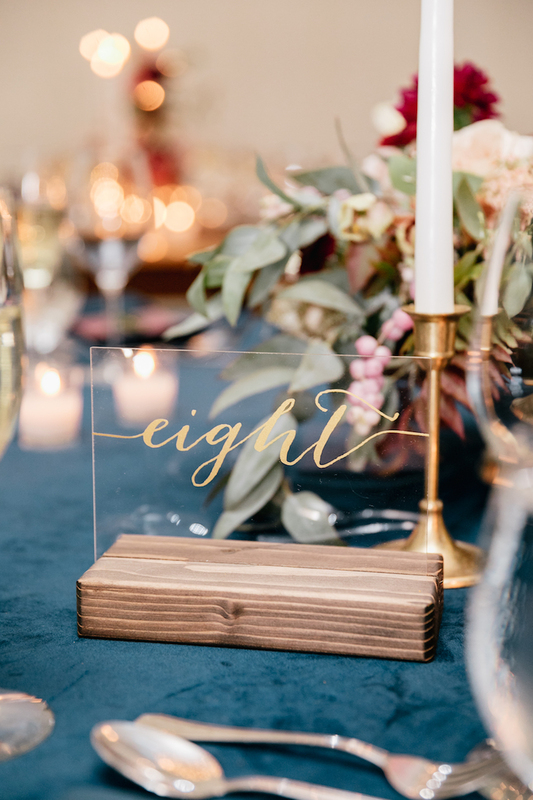 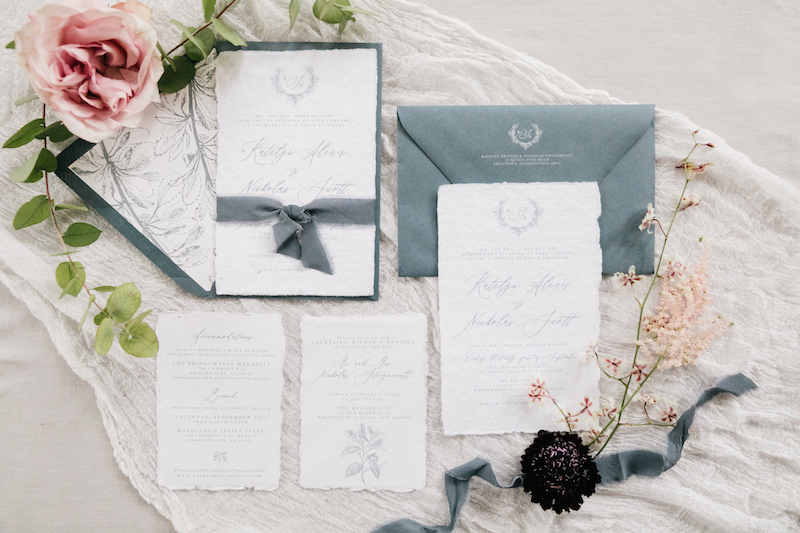 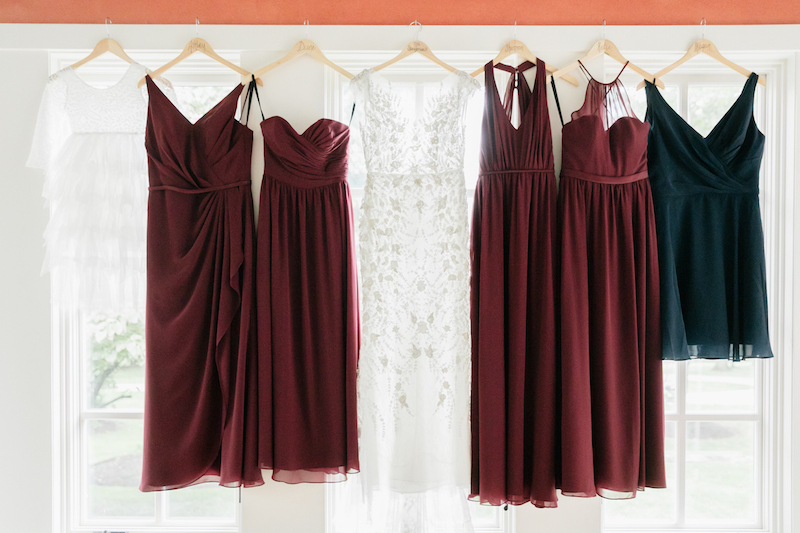 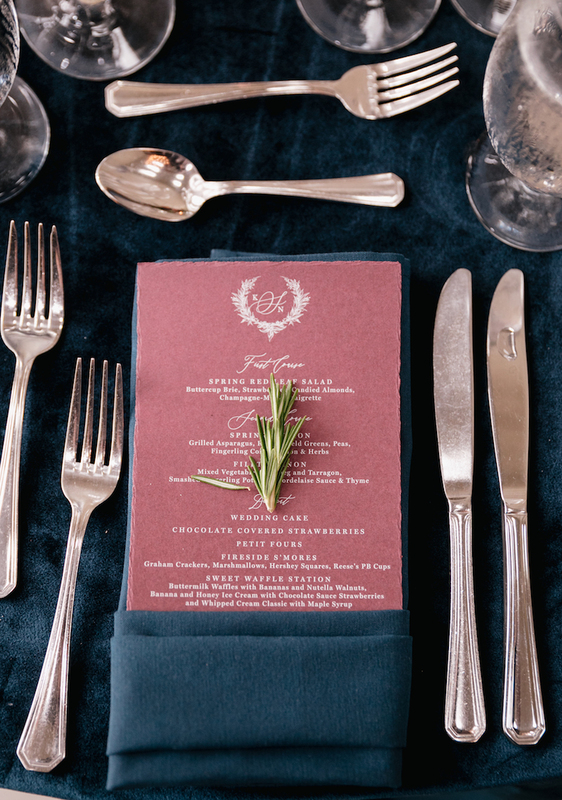 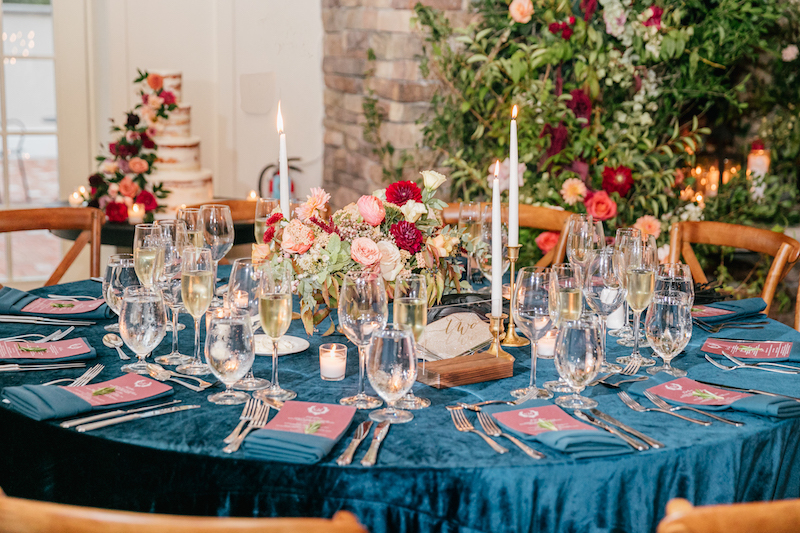 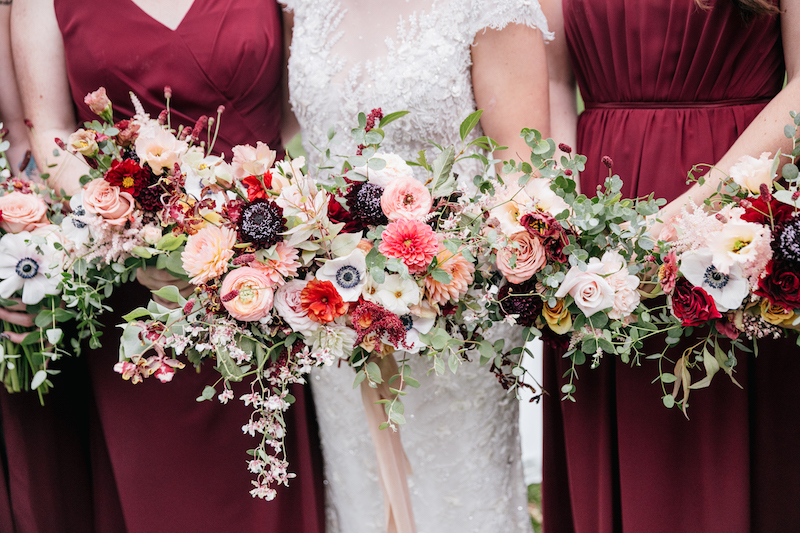 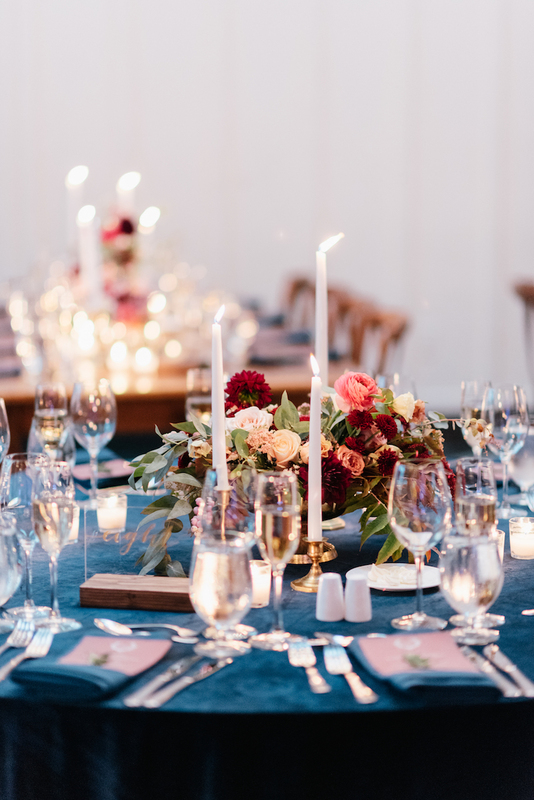 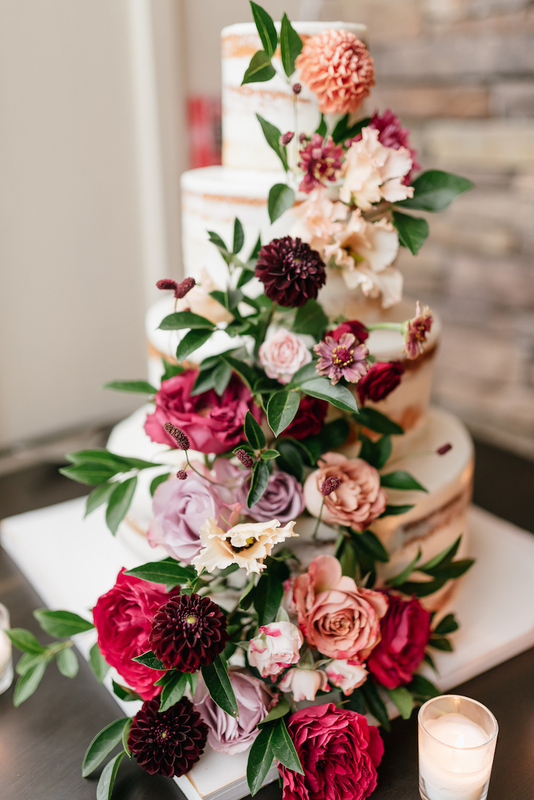 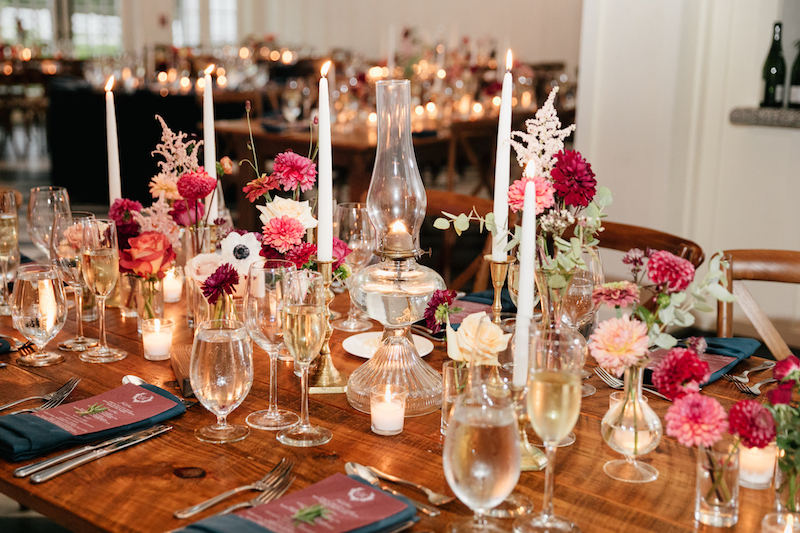 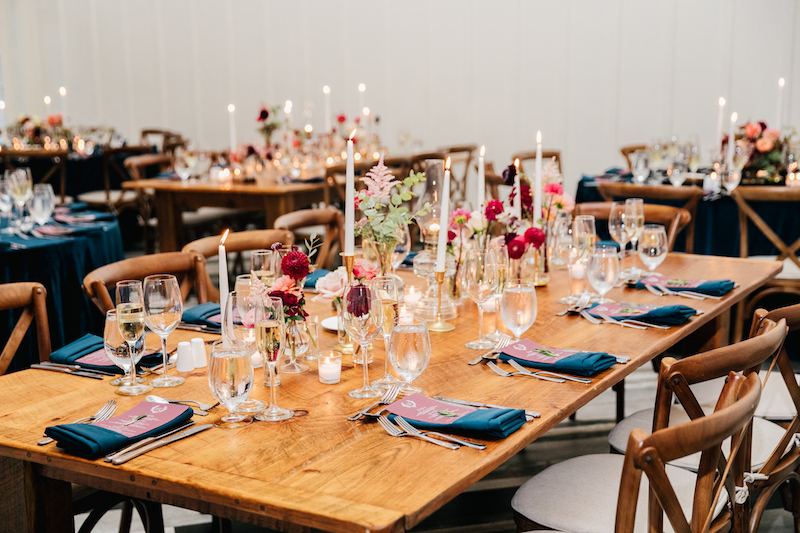 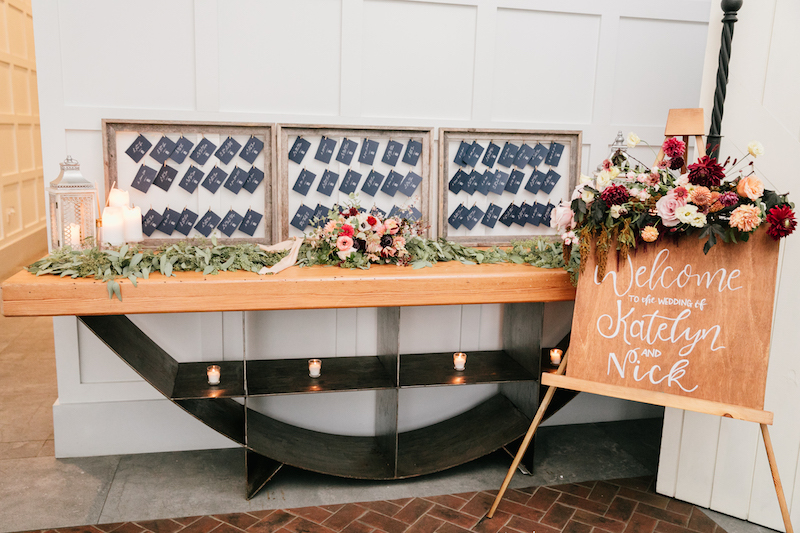 This perfect fall wedding incorporates a rich color palette with burgundy and navy blue like we’ve never seen before! 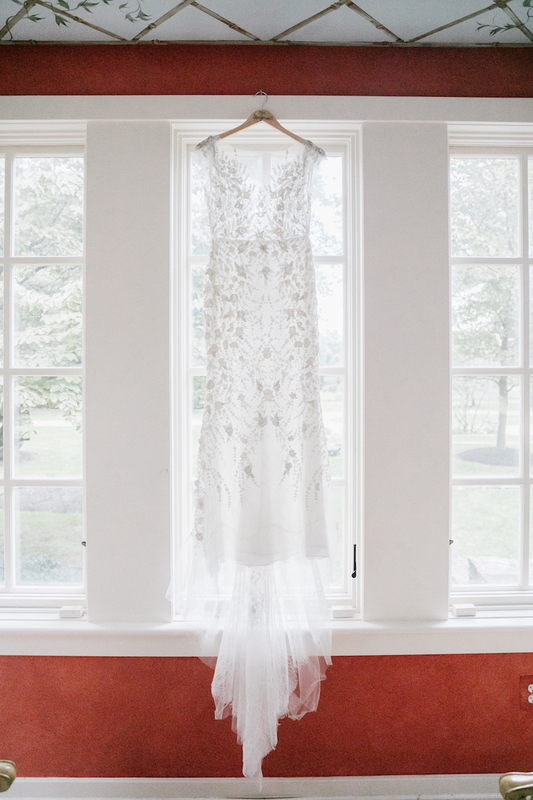 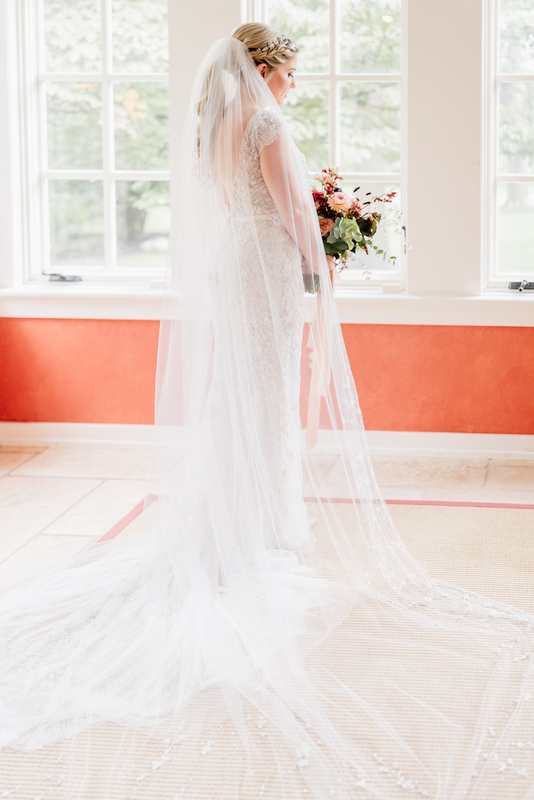 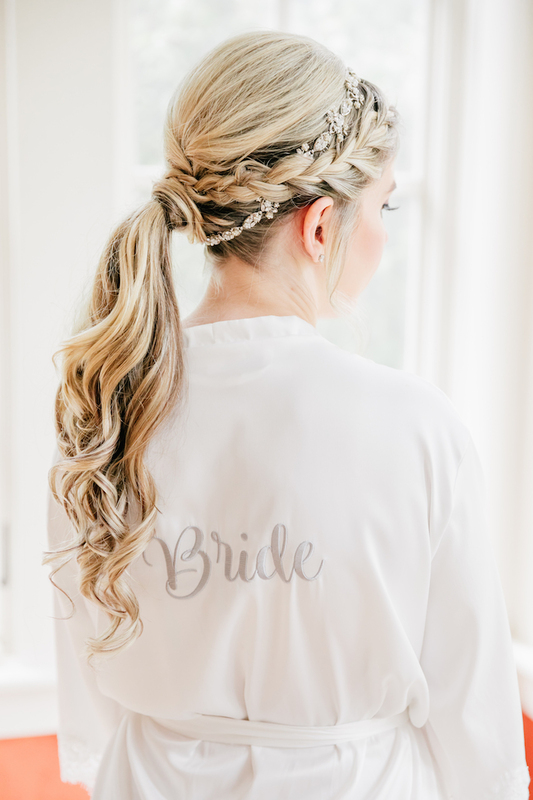 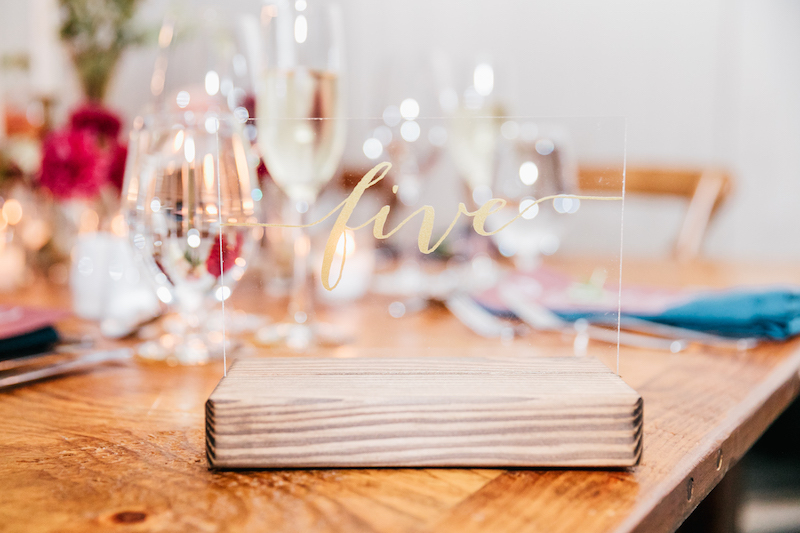 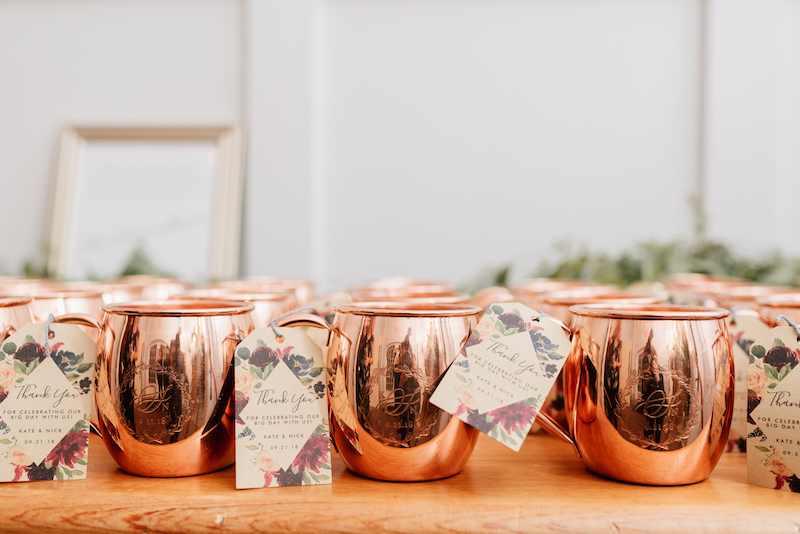 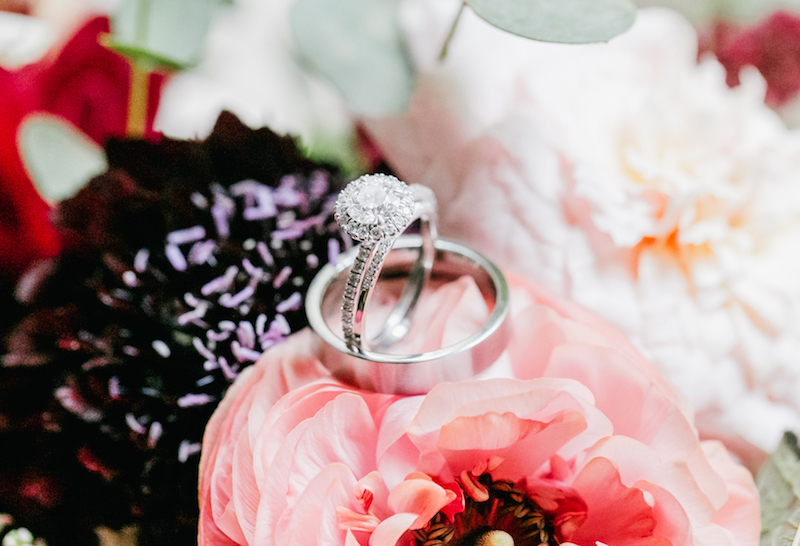 Hosted at the classic New Jersey venue, The Ryland Inn, Gabby for Emily Wren Photography captured all the elegance. 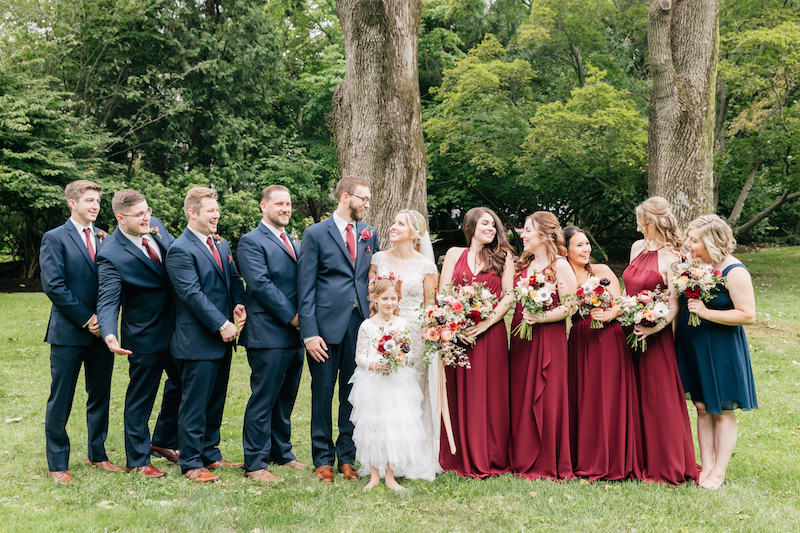 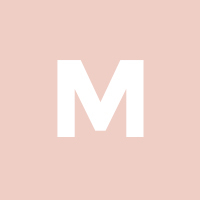 Bridesmaids dazzled in floor length deep red dresses, and groomsmen in dapper navy suits. 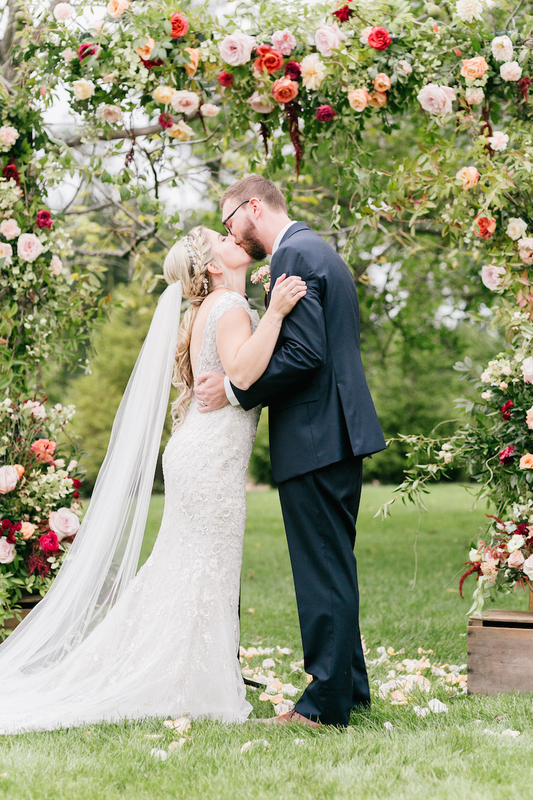 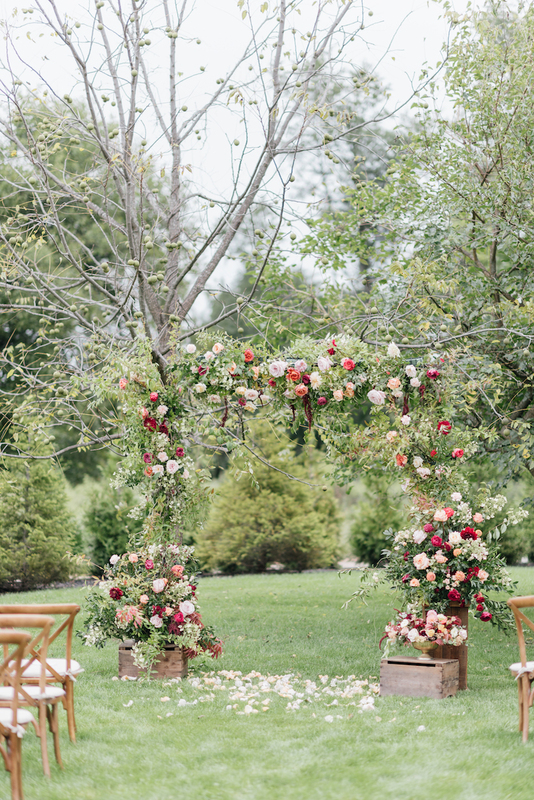 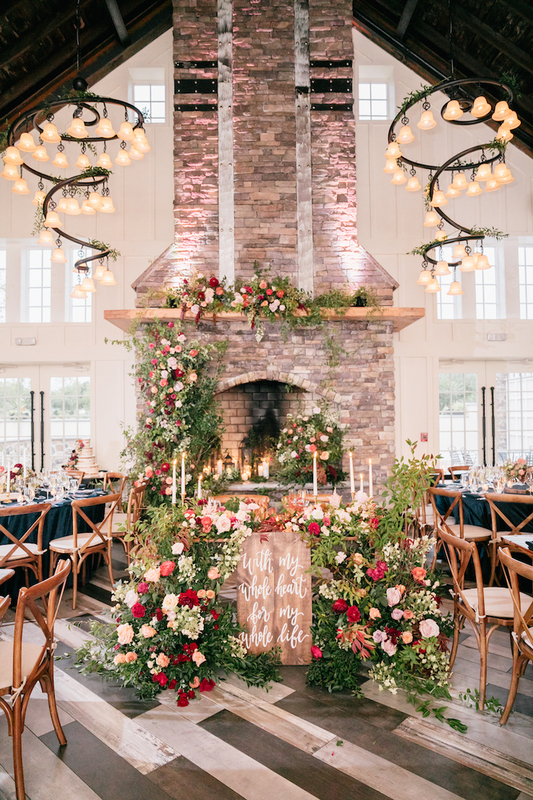 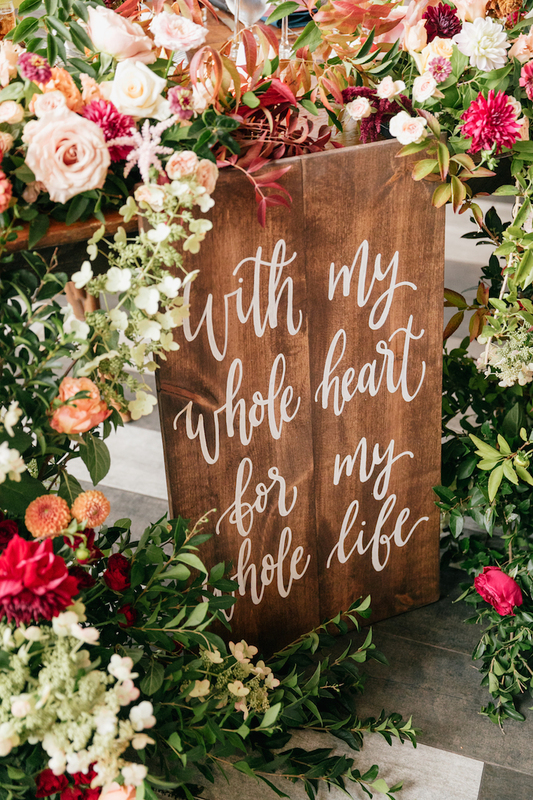 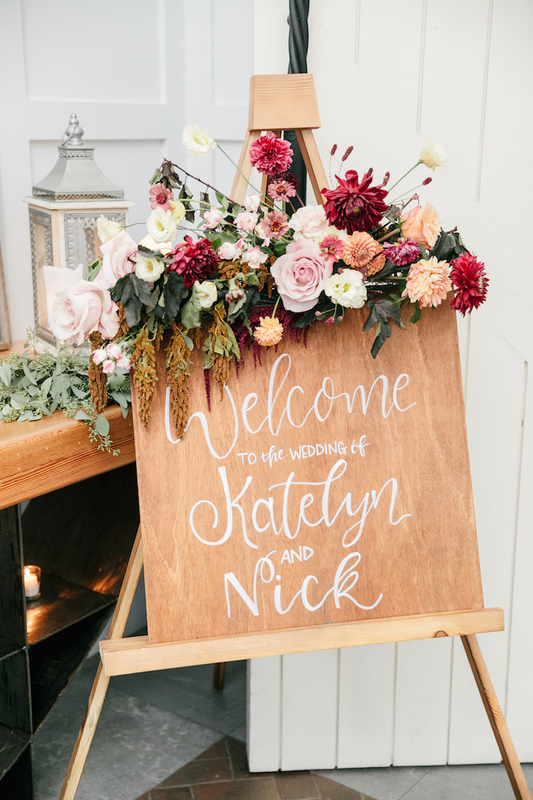 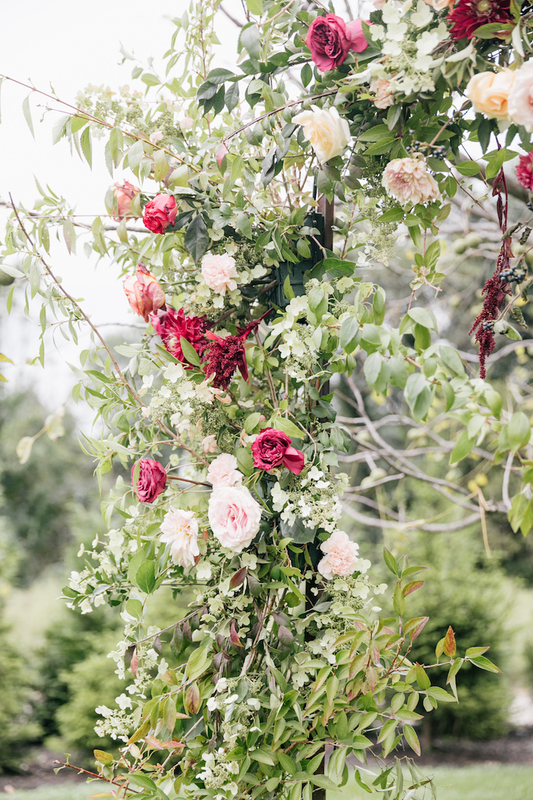 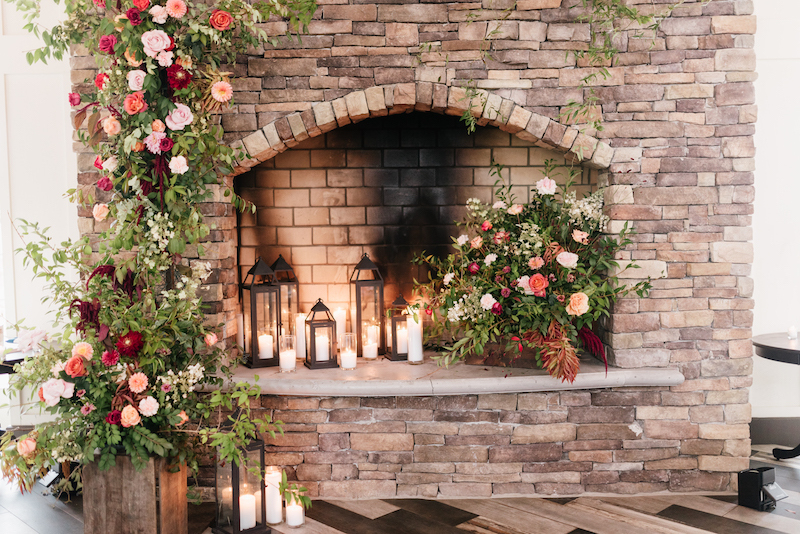 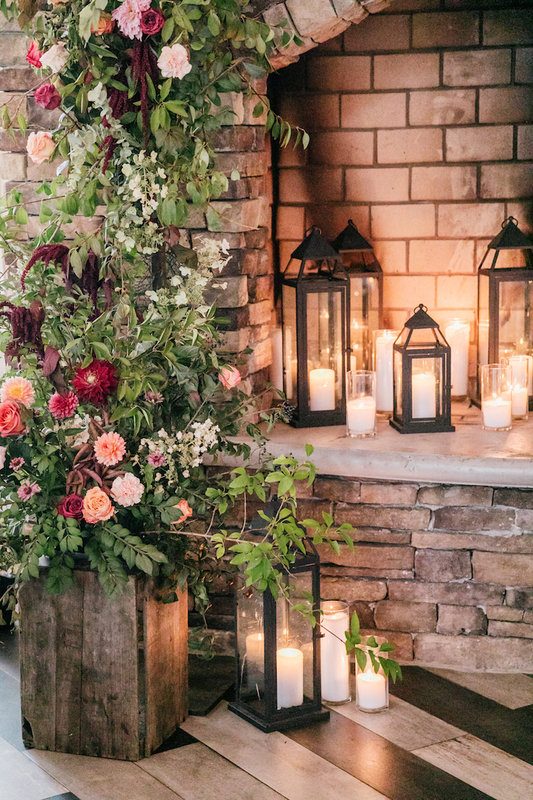 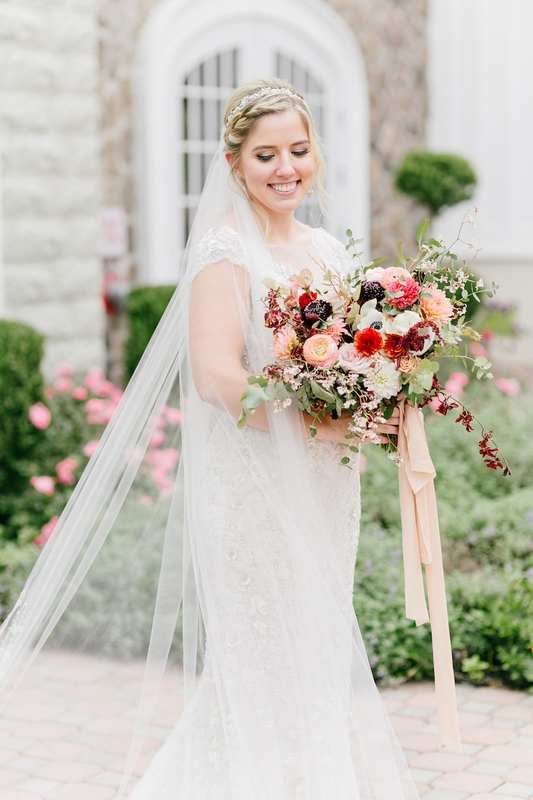 The vibrant sweet peach, deep plum, and scarlet cherry blooms by Faye and Renee are jumping off the screen, perfectly complementing every decor detail from the bouquets to the ceremony arch to the fireplace installation. 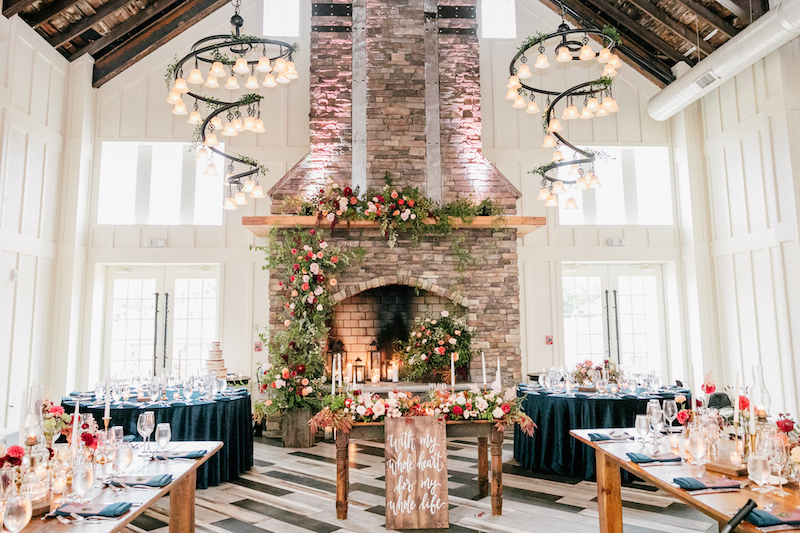 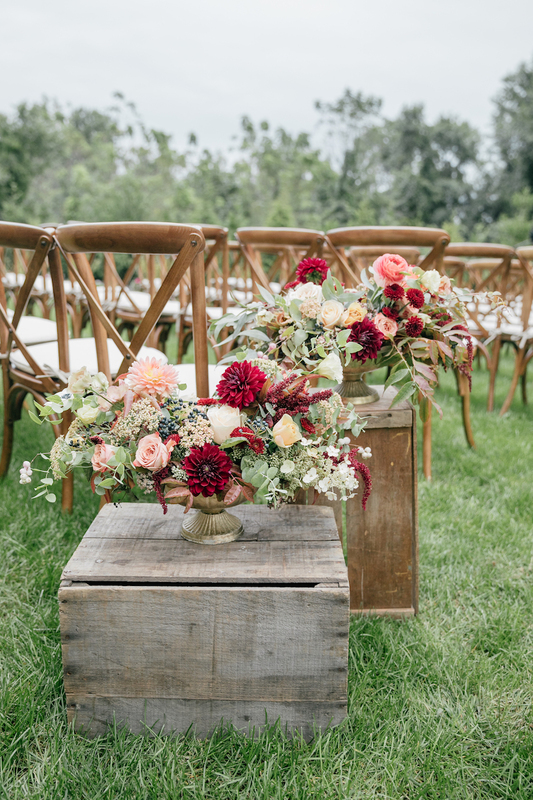 We see these amazing colors all over, plus romantic accents of gold throughout the reception decor. 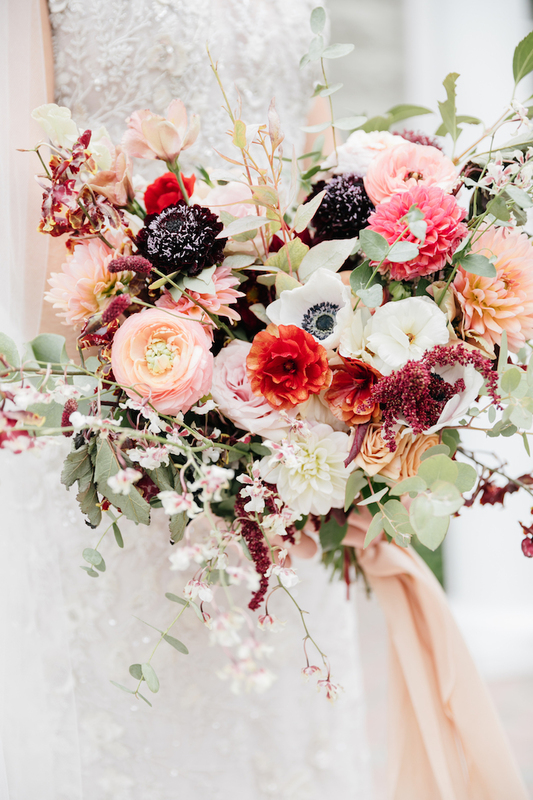 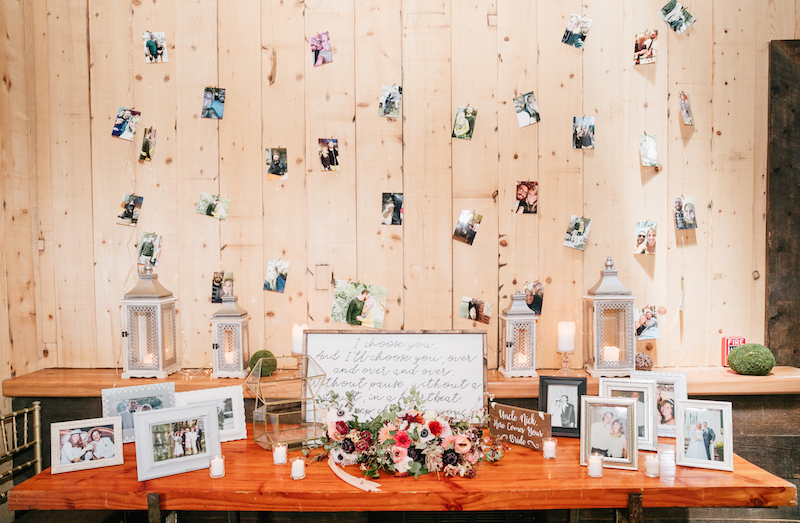 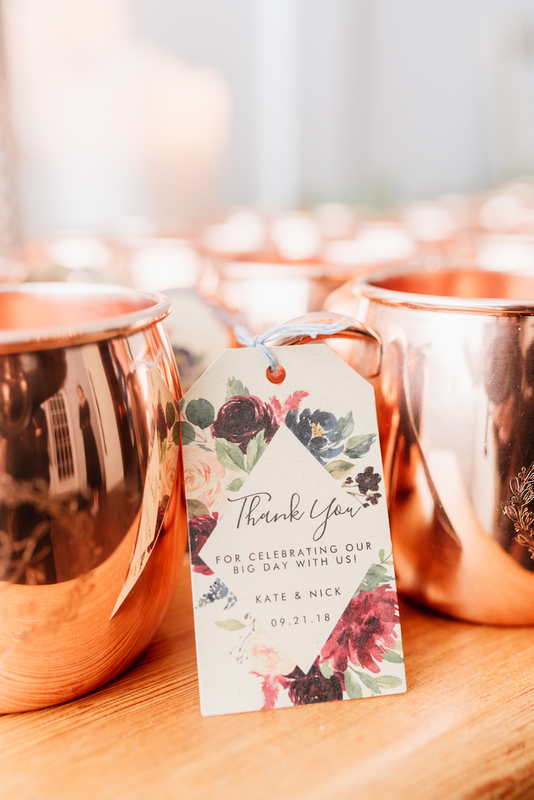 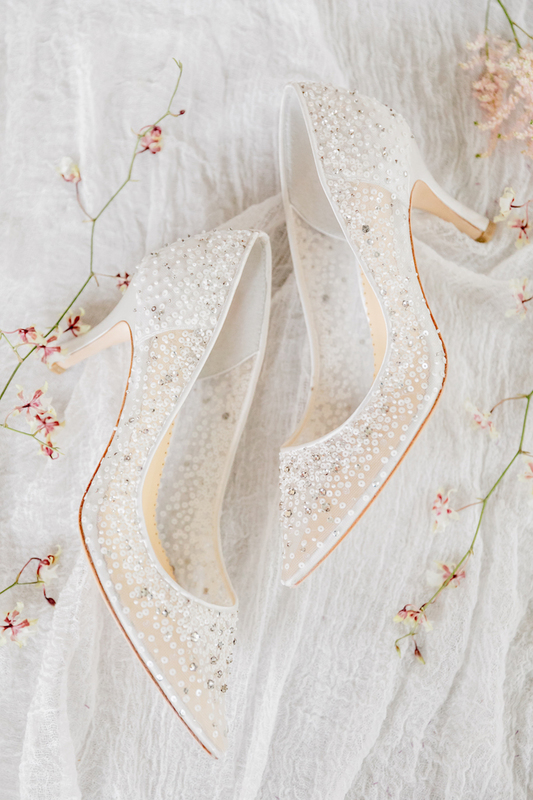 There’s nothing like a striking fall wedding to get us inspired! 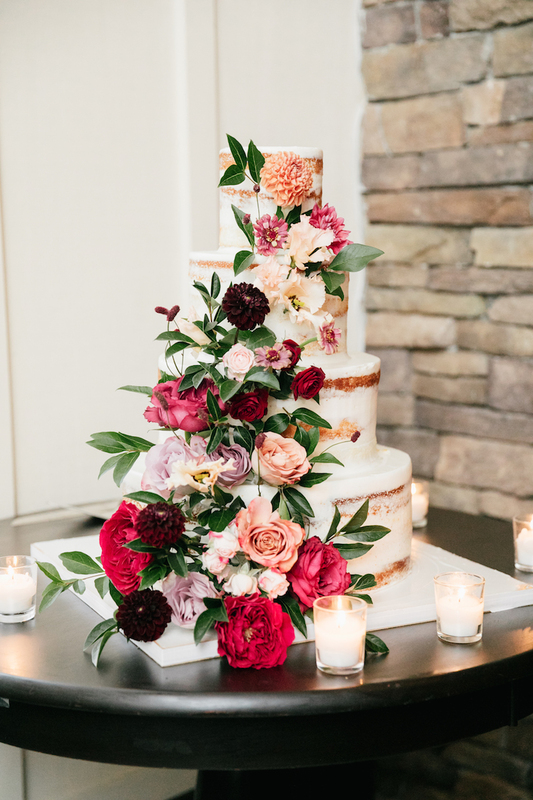 See the fabulous celebration below.